Grid Ref SD 343964 Postcode LA22 0QJ. Access to the event is along narrow roads and the space for car parking in the Assembly field is limited. Please car share if possible. The route from the North has a very steep section with sharp, narrow bends and is not suitable for motorhomes which must use the routes from the South. The preferred route for all vehicles is from the South as the route from the North passes through the Pre-Start and a road crossing. From South A590: Follow Grizedale Visitor Centre brown signs from Haverthwaite crossroads; carry on to the top of the hill. An alternative route which is more suitable for motorhomes is from the A5092 at Penny Bridge. From North: From the B5285, turn right leaving Hawkshead, after 400m, turn right towards the Grizedale Visitors Centre and Satterthwaite. Motorhomes will park on adjacent forest roads which will involve a walk of up to 1km to assembly. All adjacent to car park, NW side. The Finish is 100m from the car park. 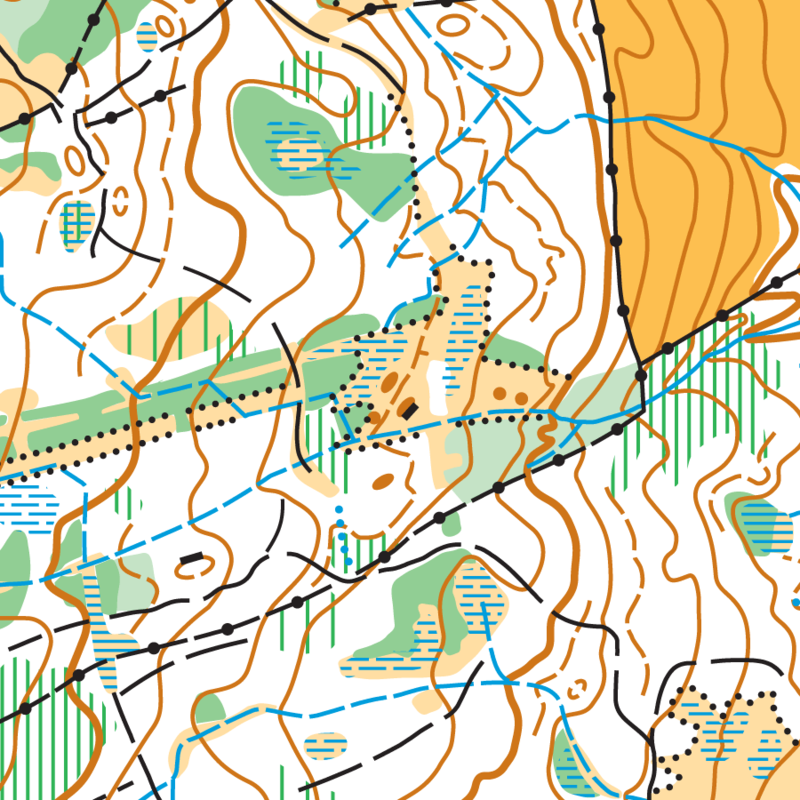 1:10,000 (Courses 1-14) or 1:7,500 (Courses 15-17) with a 5m contour interval. All maps are A4 updated 2014 by Martin Bagness. Undergrowth that could impede progress (windblown, bracken) are shown using the conventional vertical green stripe symbols. Impenetrable windblown trees are shown using a solid green screen. One fence that is ‘Not to be Crossed’ is highlighted in purple on the map and can be crossed at a gap marked clearly on the map using the purple ‘crossing point’ symbol. All fields shown on the map are ‘Out of Bounds’. A variety of coniferous and deciduous woodland with varied runnability of brashings, seasonal bracken and low branches, although there are also some delightful areas of grass/bilberry that enables faster progress. Courses have been planned to utilise the best parts of the forest. Areas marked using the light green (slow run) or moderate green (walk) screen, in general, have virtually no undergrowth. The mountain bike trail nas been closed for the event. The FC Visitor Centre will be open.